Guaranteed Not To Be Beaten Finance Repayments! Factory Fitted Sun Roof! 151Kw 1.6L Turbo Engine with 280Nm of Torque, 4CONTROL 4 wheel steering, 8.7" Portrait touchscreen display, Launch Control, 18" Magny-Cours alloy wheels & Customizable Ambient Cabin Lighting. The Megane Hatch GT has all these features & more, enquire today to find out! Renault point of difference; Capped price Servicing intervals of 30,000kms or 12 months, you will spend more time on the road & less time in the workshop, coupled with up to 4 years of free roadside assistance its easy to see why this is an award winning vehicle. Go above & beyond with up to 8 Year Warranties available. A local dealer you can Trust, as an Award winning New & Used Car Dealer for over 25 Years you can confidently enquire knowing that you will be looked after, put us to the Test! We look forward to exceeding your expectations. In order to be the best we need great stock so we are currently paying over market value for all trade ins. You may well be pleasantly surprised with what we will pay for your car as a trade or buy in. 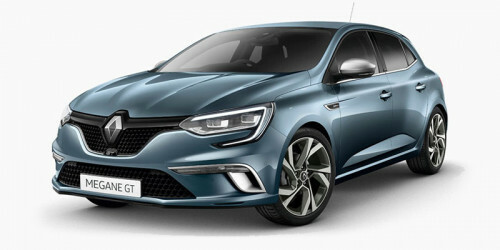 I'm interested in a Demo 2018 MY17 Renault Megane Hatch BFB GT Hatchback (stock #L1714).